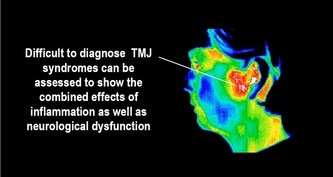 Thousands of people in the United States have taken advantage of Digital Infrared Thermal Imaging. 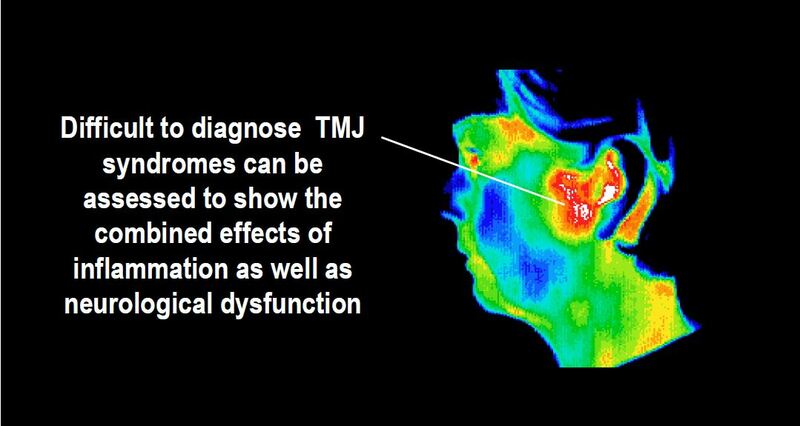 This clinical screening is supported by 30 years of research and over 8,000 published medical studies. DITI measures the amount of heat being emitted from the body due to the inflammatory process in the area being studied. 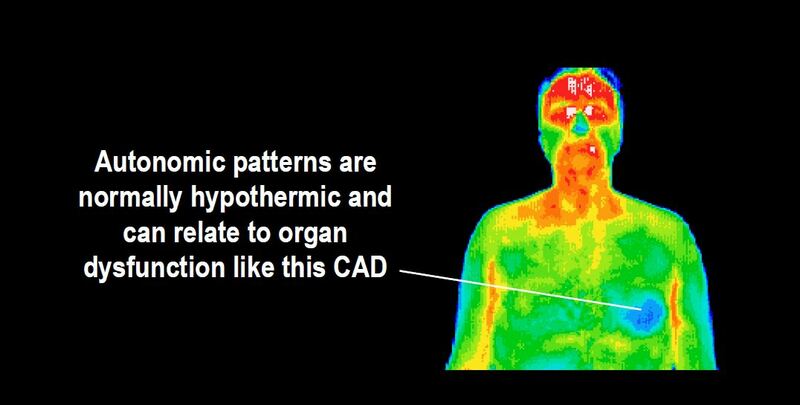 Surface temperature of the human body is symmetrical (virtually the same on both sides) and is a reflection of the control by the Sympathetic Nervous System. Inflammation at any tissue depth will be recorded by the sympathetic fibers in the nerve supply to that area. This information will be processed through the Central Nervous System which will cause a sympathetic response in the area of skin corresponding to the affected site. 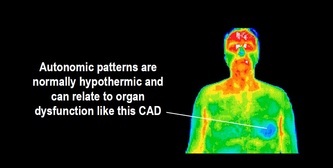 Thermography screening does not involve physical contact, is 100% safe, radiation free, and will take approximately 30-60 minutes depending on the number of regions of the body to be studied. Thermography is the only method available for visualizing your pain and can help provide answers to your pain issues. 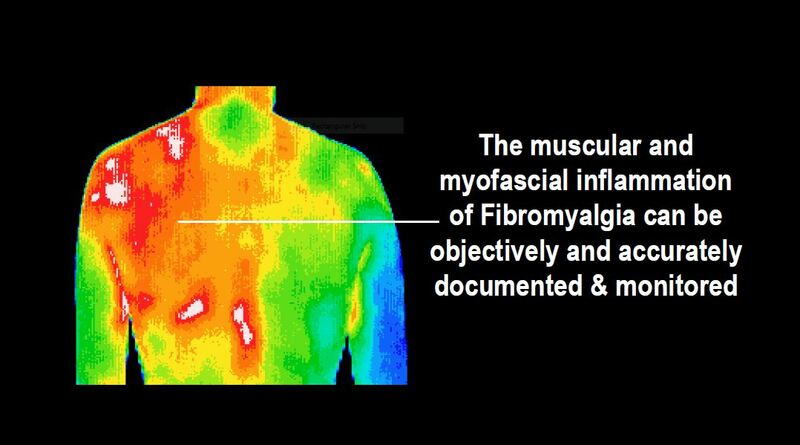 It is the only screening method available that measures physiological changes over time whereas other screening methods measure anatomical changes. What is the difference between anatomical and physiological? Anatomy studies the structure of living things - what it is, while physiology looks at the function - what it does.